Every online marketer knows that analytics are crucial to understanding why your visitors behave the way they do. If you don’t closely monitor how users interact with your website, you won’t know how you can improve it. In the field of web analytics, Google Analytics reigns supreme. It’s free, widespread, and incredibly popular. But Google Analytics can also be hard to use, and a little invasive. You need to hand over mountains of data to one of the biggest corporations in the world. If you don’t like that Google has access to all your data and you need additional functionality, you can look for alternatives to Google Analytics. Here are 7 such examples. SE Ranking is a very powerful tool that gives you with comprehensive website analysis. Find out exactly who’s visiting your site, and where you’re getting traffic from. It also has a bunch of useful features such as custom reports, the ability to track website rankings and traffic, the depth of information, a Google Analytics integration (if you just can’t quit GA), competitor monitoring, social media activity, paid web analytics solutions, and backlinks monitoring. The tool lets you build better websites and provides data points to your clients about their own websites. It also has a very clean and streamlined interface that makes understanding data easy. Piwik is another great alternative that offers a lot of the same features and other solutions, although the setup is not quite as easy. If you use the paid version, you’ll need to install the software on your server. So a little technical know-how is necessary. To help, the company is available whenever issues arise. The team is responsive concerning bugs found in the system, and tend to fix them quickly. Piwik offers a range of great features like the customizable dashboard, goal tracking, a detailed log of individual visitors, and a marketplace plugin. My biggest criticism is that the interface can get very congested if you have too much information, which can make it tricky to use. Kissmetrics is a great analytics solution focused on web analytics at the individual level. In other words, it tracks your visitors. The tool lets you optimize conversion rates by giving you detailed visitor actions, unlimited funnel reports, A/B split tests, data segmentation, and more. The setup process is complicated, but they provide plugins for most popular systems. The software offers solutions for mobile apps, Saas, e-commerce platforms and more. Woopra provides an attractive web dashboard with many analytics features to help you instantly see what’s happening on your website. The tool shows you how many visitors are online and what they are reading. I really like the behavioral profile that the software creates for each customer and user. This information can be essential to your online business. Woopra includes a range of interesting features like tracked categories, comments, blog authors, custom tagging, advanced segmentation, real-time stats, advanced reporting, and live chat feature. An integration with your online store is available, and you can track what visitors do there. Chartbeat is a great content intelligence solution that shows data for desktop and mobile users, traffic sources, top pages, Twitter links and mentions, server load, and more. You’ll instantly know how your content is performing and how to optimize it for reader engagement. The tool also offers scroll mapping and the option to see how visitors are connecting with your content, and why they’re on your site in the first place. Chartbeat gives everyone a detailed overview of content performance, editorial KPIs and video content analysis. Gauges is another affordable alternative source to Google Analytics that helps you focus on the most important website traffic stats in real time. The tool works similarly to Google Analytics. The idea behind this software is to provide with the most important and actionable data through an easy-to-understand interface. Similar to the tools mentioned above, Gauges shows you how many users come to your website, where they come from and where they go. The tool has a few useful features like real-time analytics, an API and 100% Flash-free dashboard for mobile viewing. 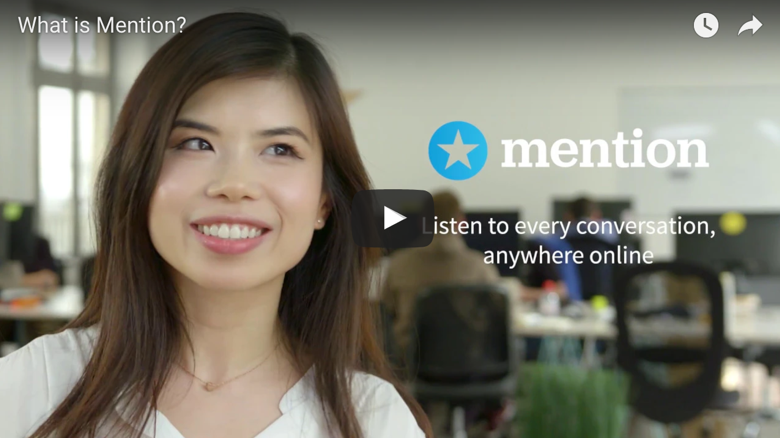 Mention is a great media monitoring tool that quickly shows positive and negative mentions of your brand and competitors with sentiment analysis, gives you detailed analysis of your competitors, and reveals serious communications problems. The tool enables getting in-depth brand intelligence and compelling reports to share results with clients and colleagues easily. The tool gives you helpful data like reach and shares, and the influencer dashboards find the top people talking about your brand. Plus, if you don’t have enough time to check Mention every day, you can receive email digests with top mentions. Google Analytics is a great free tool, but those were 7 great alternatives to improve your digital marketing strategy. Which analytics tools have you had the best experience with? Or do you have a favorite Google Analytics alternative that’s unlisted there? We would love to know more in the comments below.